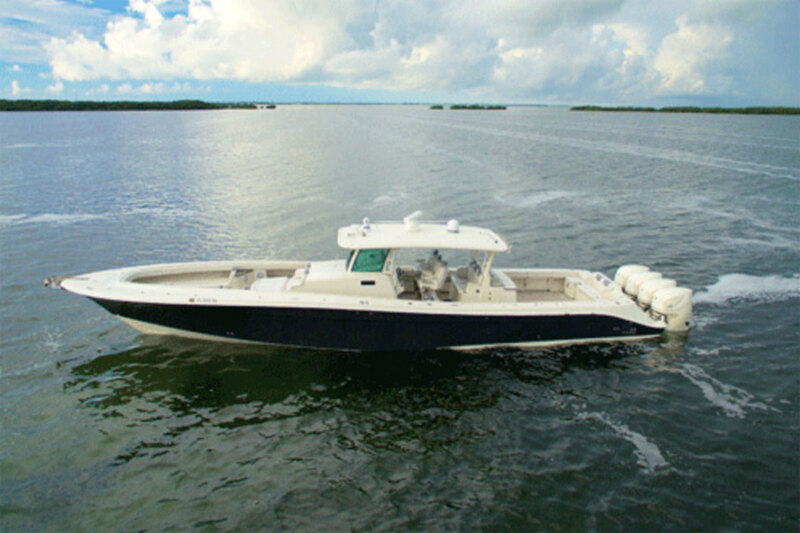 The 5300 Siesta by Hydra Sports, now known as HCB Center Console Yachts, is among the offerings as the company seeks to reposition itself as a luxury center console sportfishing boat builder. HCB Center Console Yachts, formerly known as Hydra-Sports Custom, has officially renamed the company as part of a five-year plan to evolve. The new direction will be showcased at the 2018 Miami International Boat Show and the Miami Yacht Show at Collins Avenue. The strategy includes a new model year 2019 collection focused on “refined luxury;” the next generation of the retooled Sueños; information on the new 65-foot Estrella yacht, which will seek to appeal to center console and sportfishing customers; and a customized build and ownership experience. The company said it will create HBC Factory Annexes, a global extension of its factory experience. The model year 2019 portfolio includes the next generation of the 53-foot Sueños, a revised 42-foot Siesta, a reinvigorated 39-foot Speciale and the introduction of its largest center console yacht, the 65-foot Estrella. HCB said it has created a customized and exclusive approach called the Crucero Experience that runs from customer courtship through the build process, commission and ownership. The new annexes are meant to address the “major challenges” in traditional dealer networks, the company said. The annexes are meant to help extend the awareness, influence and customer experience of HCB to a wider audience while remaining factory-partnered with the HCB culture and spirit.